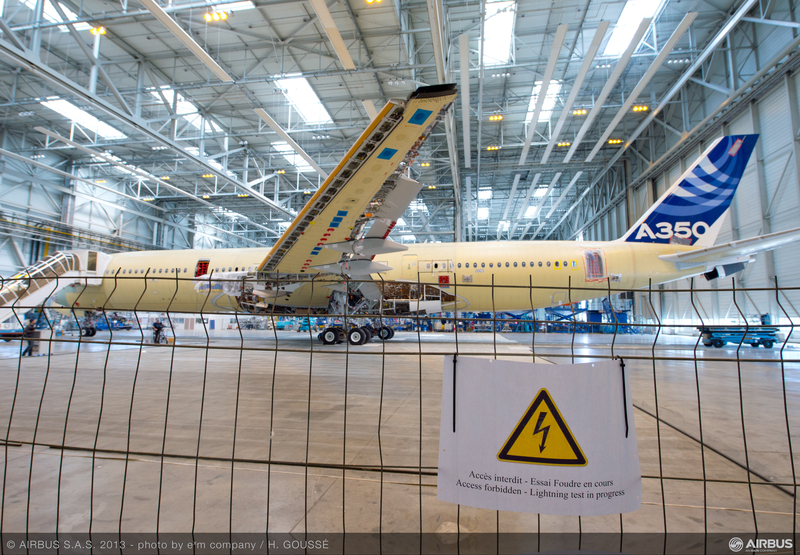 The Airbus A350 WXB underwent low-level lightning testing at the Clement Ader facility in France to clear the flight test aircraft for icing flights. 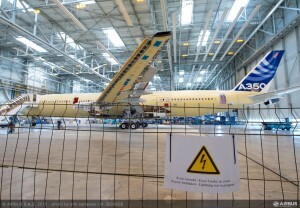 The A350 XWB is constructed mainly of carbon fiber composite with a metal mesh embedded in the outer surface. The carbon fiber/metal mesh structure is an order of magnitude more resistive than conventional aluminum aircraft. Thus, extra measures are required to protect the sensitive electrical and electronic equipment in the aircraft. One of the techniques Airbus has employed is to route the aircraft’s wiring in metal conduit. The low-level testing was completed in about 3 days to clear the flight test aircraft. Further lightning testing is required later in the program to demonstrate the aircraft complies with EASA and FAA regulations.